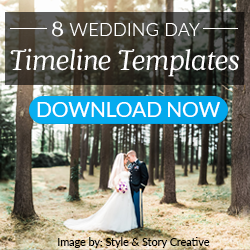 As Dorothea Lange once said, “Photography takes an instant out of time, altering life by holding it still.” Simply, it means everything you do in an image is saved for the couple to cherish forever after their wedding day. To ensure you create the best photos every time, lighting and posing are two of the most important aspects of photography for you to master. In our Online Training: Live Posing and Lighting Critique with Jen Rozenbaum, Jen reviewed images submitted by photographers from around the world. Throughout the training, she provided ways for you to constructively critique your images and how to advance your skills in lighting and posing. 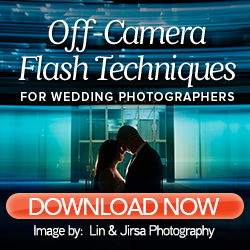 Here are the top 5 tips from Jen’s training you can use in your upcoming shoots. A good pose allows your subject(s) to look as good as they do in real life, if not better. Every time you look at an image, ask yourself if your clients look just as good or better. 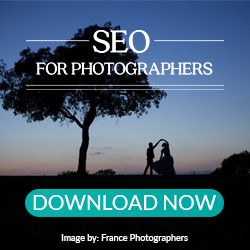 For you to achieve the best poses possible, communicate with your clients to discover what they envision for their wedding photos, and focus on that to create poses and set proper lighting. A good pose creates interest. To do this, look for leading lines and negative space to enhance the composition of the image. Not only do you create interest through these techniques, you also provide energy to the pose and the overall story of the image. A good pose will convey the mood you desire. If you want to showcase a light and happy mood from your clients, use poses that showcase their laughter and joy. When you want to showcase a more serious mood, adjust their poses and facial expressions to help you convey it. Keep in mind, showcasing their faces (and eyes) can be a powerful tool to use to showcase a particular mood. Often times, lighting can be difficult to predict. There are many obstacles you may face, from harsh lighting, to low lighting, to an overflow of lighting. The most important thing for you to focus on is ensuring your clients are always the main focus of the image. If the light is too bright, or covers parts of their faces, it can take away from the overall story of the images. To combat harsh lighting, move your clients to a location where there is open shade or use techniques to diffuse the light. In low lighting, adjust your camera settings or take advantage of your off-camera flashes (if the location allows it). With an overflow of lighting, use backlighting techniques to create separation from your clients and the background. Each of these help you overcome lighting issues, and help you highlight the poses you set for your clients. 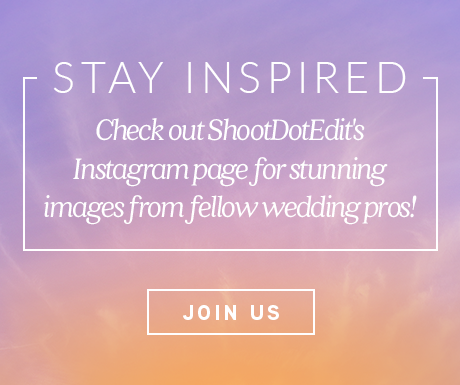 Tip: Send your images to a wedding photography editing company to ensure they are consistent after you use proper lighting and posing techniques. Related: Struggle with lighting? Discover 26 lighting tips from expert Roberto Valenzuela – grab them today! When you work with your clients during the wedding day, it’s necessary to light and pose them properly, but it’s also important to capture their genuine emotions to contribute to the overall story. The main way to do this to ensure you can see their faces, since this is where the emotion will be. Pay attention to how you pose them, and where the light faces, so you can capture how they feel, and they can remember it when they look back at their images. If your clients have trouble getting comfortable, help them relax. Ask them to think about something specific in their relationship to portray the emotions you desire. This helps them enjoy the shoot and showcase their genuine emotions. Related: Not sure how to make your couples laugh? Here are 3 tricks to get you started! With every pose you set, look for proportion. When you pose your clients, and position the light to match the pose, take an initial image. Look at the photo in-camera to see if you properly posed each part of the body. When you view the pose, make sure it is a continuous circuit. Think about it this way – when you walk into the room and flip the switch on, you compete a circuit and that is what makes light turn on. When you shut off the switch, you break the circuit. Lighting and posing are same way. If you have arms that are not doing anything, or have light that is unflattering, it breaks the circuit and causes a disconnect in your image. Tip: To create a continuous circuit starting with the arms, move them away from your client’s body. As she works with clients, Jen uses the 8 Points of Posing as a guide. The 8 points are head, chin, shoulders, arms, hands, waist, knees, and feet. To use this properly, scan the body and make sure each of the points look good. If they do not, make an adjustment so the pose is flattering for your subject. The idea is that once you set the body according to the 8 points, you can shoot the same basic pose from different angles and still showcase a strong pose. Learn quick tips and tricks for easier posing, how to recognize proper posing, and Jen’s #1 tip for posing success with her Boudoir Posing Cheat Sheet! When you use proper lighting and posing techniques during the wedding day, you can create stunning photos your clients will love. What other techniques can you practice to advance your skills? Our Guide, Pro Photographer Lighting and Posing, has actionable tips you can start using today! Download it now.